I spend a lot of my time online talking to other people who love to read. Over and over again, I keep running into conversations about stories that someone doesn’t like for any number of reasons but forces themselves to keep reading anyway. It’s one thing to continue reading something that’s been assigned for a class or book club, but making yourself to read something you don’t like for no reason at all doesn’t make any sense. No, you don’t have to finish that book. It truly is okay to stop reading one sentence, paragraph, chapter, or act into the plot. If you need more convincing, keep reading. As of 2010, there were 129,864,880 books in the world. (I tried to find a more up-to-date statistic than that, but I didn’t have any luck. If any of my readers know what the current number is, I’d love to hear it). 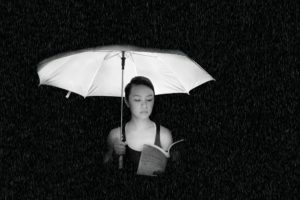 No matter what genre you’re into or how particular you are your reading material, there are far more stories floating around out there than you will ever have the time to check out before you die even if you spent every single waking moment doing nothing but reading for the next 50 years. Why waste your time on something that doesn’t appeal to you when you could be back at the bookstore or library finding a different title that is right up your alley? There is nothing like the feeling you get when you find a story that’s perfect for your tastes. This should happen as much as possible for everyone who loves to read. The less time you spend on “meh” book, the more time you’ll have for the ones that you really love. Yes, I know this is an obvious statement, but sometimes I think people forget that you’re supposed to enjoy the tales you pick out when you’re looking for something to fill your spare time. It’s one thing to slog through the fine details of a contract, user manual, textbook*, user agreement, or some other form of reading that is meant to give the reader important knowledge instead of entertaining them. 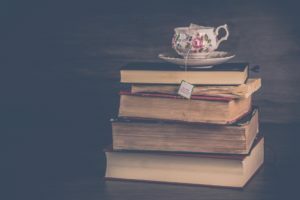 These reasons for reading are an unavoidable part of life, and they do serve incredibly important purposes for anyone who needs more information about when their phone contract runs out or what to do when their fridge makes that really bizarre sound. Reading for the sheer pleasure of it is different. The only purpose of this type of reading is to give you joy. If you’re not enjoying it, you might as well go find something else that does make you happy. *Although I will admit to reading textbooks for fun in the past, too! Just because a book doesn’t appeal to you right now doesn’t mean you won’t have a different opinion of it in the future. Not liking a specific story the first time you tried it could happen for any number of reasons. For example, you could have picked it up before you were ready for that particular tale or at a time in your life when other types of writing were more appealing to you. The first time I read C.S. Lewis’ Till We Have Faces, I honestly didn’t know what to think of it. The scene where Orual, the main character, sees Pearl, her sister, again after assuming that Pearl had died was beautiful and poignant, but the plot flew over my head because I wasn’t familiar with the myth of Cupid and Psyche and I was a little too young for the subject matter in general. It was only when I reread it a few years later that I started understanding the themes Mr. Lewis was exploring in it about love, selfishness, doubt, suffering, and gods whose actions don’t make any sense at all to us humans. I may have to write a follow-up post to this post sometime, but not every author or story is going to appeal to every single reader no matter how many times you try to change your opinion of it. It simply isn’t impossible to write something that appeals to everyone in the entire world. I know several people who only read nonfiction. Some readers love mysteries but wouldn’t touch a horror novel with a ten foot pole. Others wants cutting-edge science in their fiction but will run screaming from the slightest hint of romance in the plot. This only scratches the surface of all of the different types of writing and storytelling that are out there. There are certain authors and fictional universes that I’ve never been able to get into no matter how many times I give them another shot or how hard I try to enjoy them. This doesn’t mean that those books are bad or not worth checking out in any way. They’re simply not my cup of tea for all sorts of different reasons. There are many other people out there who deeply love them. Some of them are wildly popular, and I’m glad that they’ve found their audience even though I’m not part of that audience. If you struggle with putting books away without finishing them, I hope I’ve given you some food for thought. It truly isn’t necessary to keep reading something that you can’t bring yourself to like. Do any of my readers have this problem? How often do you give up on reading a book before you finish it?